Hi Brad! 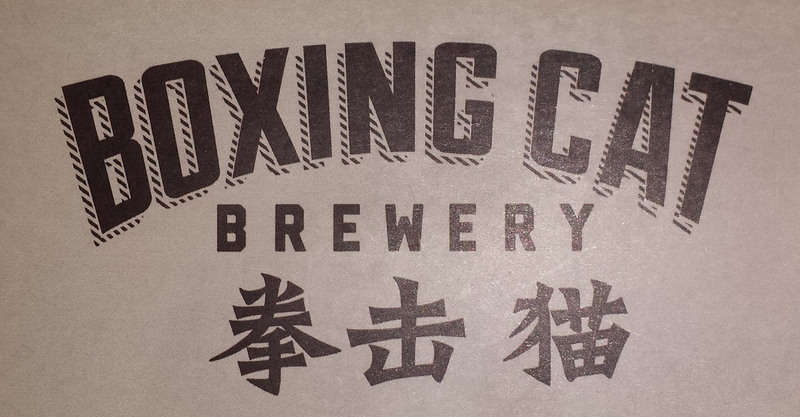 I’m very happy you enjoyed the beers and your visit to Boxing Cat Brewery. Cheers! Whoa, very cool! Half of my classmates in grad school came to Florida from China and I introduced several of them to the Tampa Bay craft scene, but this is the first I’ve heard of Boxing Cat. My last roommate – who is Chinese – would absolutely love that Rye. The mint stout sounds completely up my alley; I had the Thin Mint stout from NOLA Brewing at Hunahpu Day this year and it was fantastic, and am actually drinking a peppermint porter right now (“Santa’s Pimp Cane”, by Pair O’Dice Brewing, from Clearwater. Whenever I finally get a chance to travel overseas, I’ll have to go check them out.